This is the first book in Christi's new series Wicked Wallflowers and it follows on from The Sinful Brides. In this book we are following Adair Thorne and Cleopatra Killoran. For me this was a fantastic book, even though this is a love story, it was more than that. The story was more about trust and honesty. At first Adair and Cleopatra are enemies well they do come from rival families, at first I thought I wouldn't like either Cleo or Adair, but then Christi worked her magic and by the end I loved them. It was also lovely getting to know Cleo's family, but they did stay in the background without taking over from the main characters. 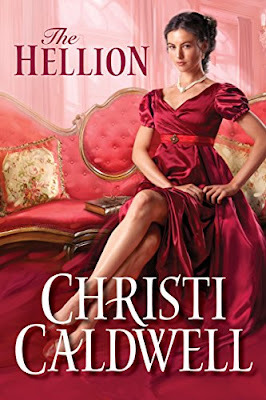 If you are fan of Christi's books then you will love this book. But if you are new to her books, then you are in for a real treat. I give this book 5/5 stars and I can highly recommend it. This book is on pre-order at Amazon and is released on 3rd April. I received this complementary copy in return for a honest review.